Per my last post on summer cocktails, I promised some grapefruit love. So here goes my diatribe on my newly found love for grapefruit! 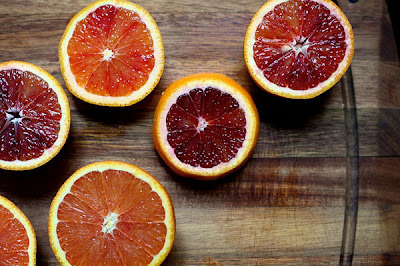 Here's the interesting thing - as a child, I hated grapefruit. My dad used to eat it with a spoon and boast about it's superior health qualities. 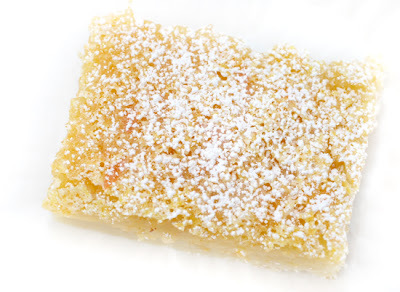 YUCK - I hated the extra-tart flavor. (Interesting fact - I also hated onions....and believe me, as an adult, I haven't met an onion I didn't like.) So, I know tastes change as we get older. 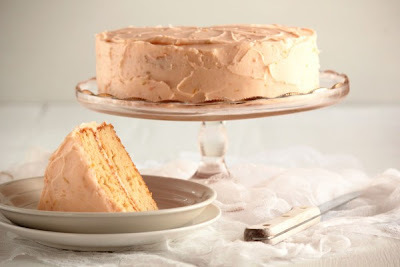 Because day-ummm (exaggerated version of damn to note emphasis) do I love the tart yet sweet taste of grapefruit! And it's sort of pink, which is obviously a bonus. 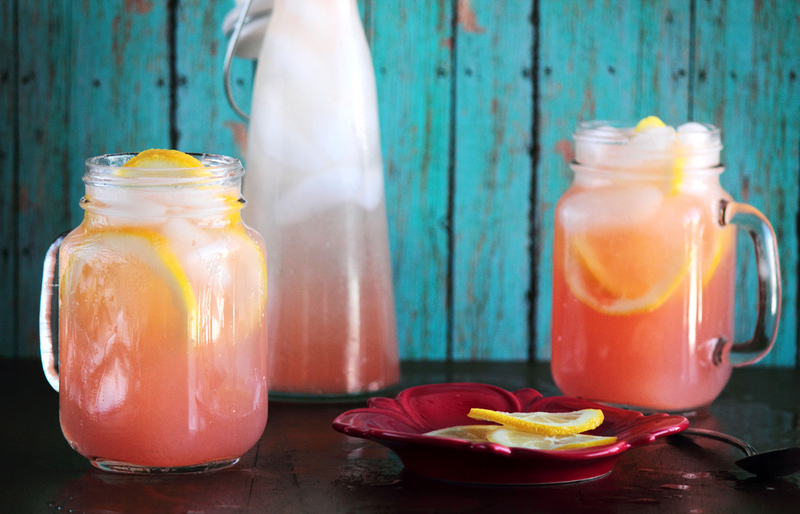 So, besides eating it straight up with a spoon, what else can you do with grapefruit? Lots..and lots o' delicious things. I am all about the mojito lately, but not the regular mojito...I like the variations. 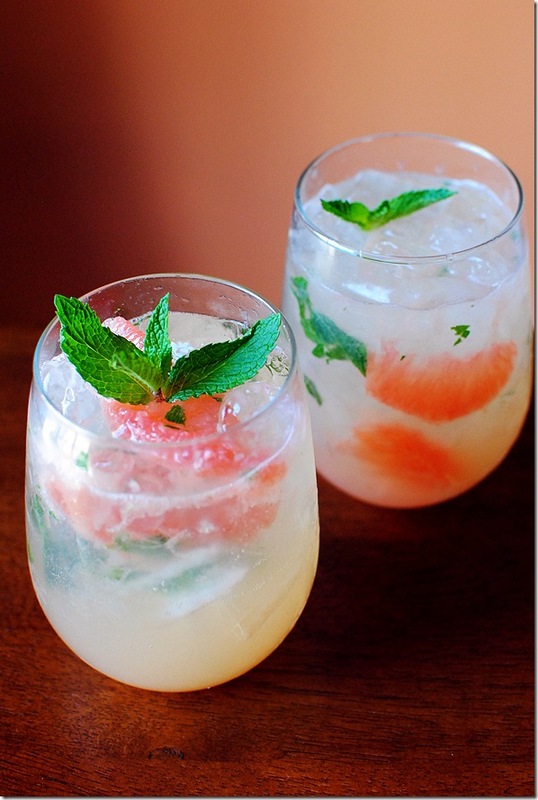 Like this Grapefruit Mojito from Iowa Girl Eats. She gives a great step by step tutorial. If a cocktail can be gorgeous, this one is at the top of the list. 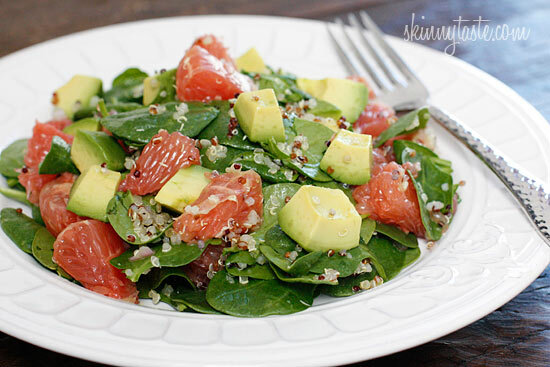 Being that grapefuit is so healthy (it's an antioxidant and detoxifier just to name a few benefits), it just makes sense to add it to a spinach, quinoa and avocado salad as in this health bomb from Skinnytaste! 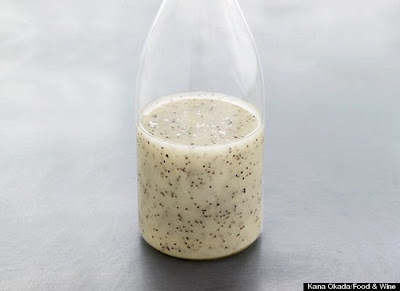 And to add to all your other salads, how about this citrusy dressing from Huffington Post? 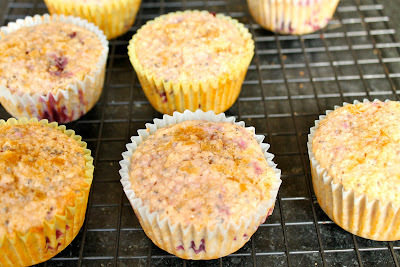 This is way better than a grapefruit with a spoon - it's a Grapefruit and Blueberry Muffin from The Fancy Apron. 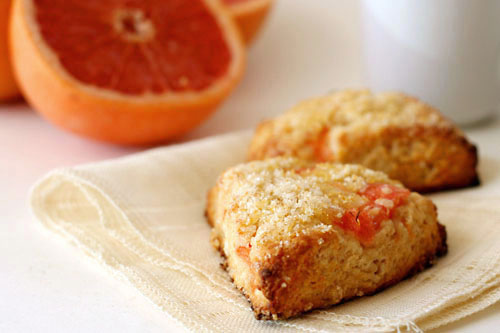 Ooohhh...or a Grapefruit Scone from The Way The Cookie Crumbles. These looks ah-mah-zing. Oh, and if you think this is a lemon square, you are wrong - it's a lemon/grapefruit bar...mmmkay! So, tell me, are you going to run to the store and grab some pink grapefruits? I certainly plan to do so! 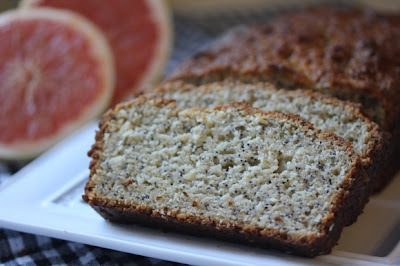 Grapefruit bread! It always piques my interest when creative bakers mix fruits (other than banana) into their breads. My favorite so far is strawberry bread I tried at a random little cafe once... but now I want to try grapefruit bread! Oh this post brings back memories! I used to sit on the back porch with my Grandparents drinking a mocktail of sorts where the primary ingredient was grapefruit soda (while they enjoyed their nightly bourbon!). Not healthy in any way, but it made 12-year old me feel so grown up!